Walter Tilley is accused of shooting at a Jeep in Lauderdale Lakes. 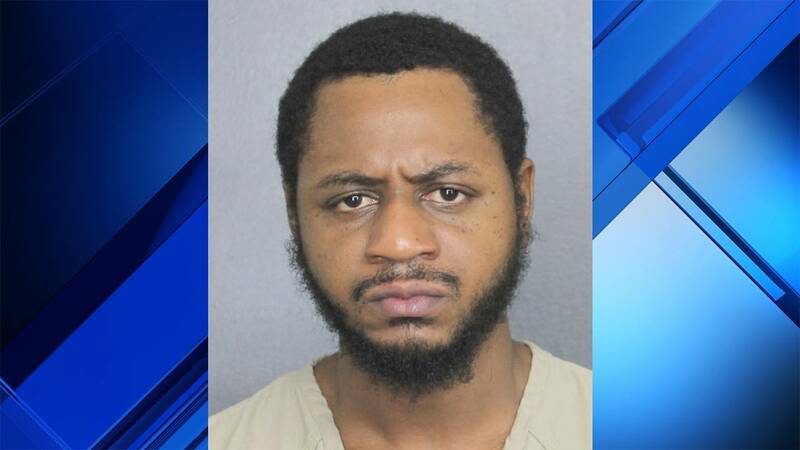 LAUDERDALE LAKES, Fla. - A man was arrested Tuesday after he shot at a vehicle during a road-rage incident in Lauderdale Lakes, authorities said. According to an arrest report, a Broward Sheriff's Office deputy was called to the area of 3950 NW 37th St. regarding the shooting. Deputies said the victim claimed he was driving south on State Road 7 when the driver of a black Toyota Corolla began honking at him and driving erratically. The victim said he then heard a gunshot and followed the car for a short distance. According to the arrest report, the driver of the Corolla, identified as Walter Tilley, 32, parked the car and got out while holding a black handgun. The victim said he swerved around the car as Tilley fired at the driver's side of his white Jeep. The victim gave deputies the tag number to the Corolla, which authorities said is registered to Tilley's girlfriend. Authorities said Tilley's girlfriend informed them that Tilley had been using her car that day and had been known to keep a small handgun in a drawer in the kitchen of her home. However, the woman claimed she told Tilley to get the gun out of the house, the arrest report stated. Deputies said Tilley's girlfriend also told them he had gotten into road rage incidents in the past. The victim later identified Tilley as the driver in a photo lineup. Authorities said Tilley admitted to using his girlfriend's car that day but denied firing shots at anyone or being involved in a road rage incident. Deputies said Tilley also claimed he used to own a black Ruger 9 mm handgun but sold it to someone in a park in Miami after his girlfriend told him to get rid of it. Authorities have not found the weapon. Records show Tilley has previously been convicted of felony burglary in May 2014 in Miami-Dade County. He now faces charges of aggravated assault with a deadly weapon, possession of a weapon or ammo by a convicted felon and firing a weapon in public. The victim was not injured in the shooting.